OCEANSIDE — A community outreach meeting was held to review plans and gather input on much needed improvements to the Mission Avenue beach restrooms on March 25. “The public deserves decent bathrooms, it’s embarrassing,” Rick Wright, MainStreet Oceanside executive director, said. 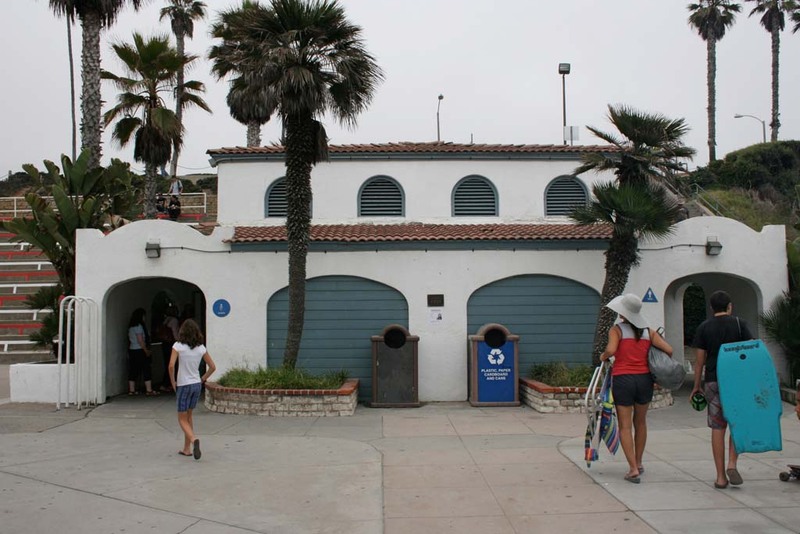 Plans are to build 14 unisex single stall restrooms, a two-story temporary lifeguard station, and refurbish the historic bathhouse for use as a police substation. Improvements will also be made to the pedestrian entry from Mission Avenue to the beach. Options on the table are a rooftop garden deck extending from the bluff with the two-story lifeguard building on the floors below, or a smaller overlook deck separate from the lifeguard building. Ricardo Rabines, design principal of Safdie Rabines Architects, said the garden or overlook deck would be a destination spot, and allow people to enjoy the ocean view without going down to the beach. Rabines stressed the project is being built for the future. Two new hotels and a block of new retail space are planned for the downtown area. Both of these options will have stairs and a paved switchback path for pedestrians to access the beach. There will be elevator access to the two-story building, which will also contain retail space and city storage facilities. A drive up drop off area is also proposed in front of the adjacent beachfront parking lot. The biggest change shared since the last community meeting in January is the restrooms will be located on the sand where there are presently shaded picnic tables. The location of the restrooms was switched from the front of the plaza, which residents said was unwelcoming. Since the initial meeting in January additional input has been gathered from MainStreet Oceanside, the city’s Economic Development Commission, and the Coastal Commission. The restrooms still remain in a safe, visible location, and allow the plaza to have a more open feel and unobstructed flow. Another kudos is the new restroom location will stop restrooms from being fenced off from the public when there is a ticketed event at the amphitheater. There were questions about sand erosion affecting the restrooms. Nathan Mertz, city project manager, said the restrooms would be stable. The universal suggestion was to build the needed restrooms as quickly as possible. The Mission Avenue beach restroom plan is expected to go to the City Council for approval in July. Construction on the project is anticipated to break ground in 2017. Updated plans will be posted on the city website.